When most people think of the Antarctic, they think only about the vast, ice and snow-covered continent of Antarctica at the bottom of the world. However if you consider the Antarctic on a broader ecosystem level, the Antarctic does not include only the continent, but the entire Southern Ocean as well. Making up about 12% of the world's oceans, the Southern Ocean is bounded by the Antarctic Polar Front, the zone in which the cooler waters in the Antarctic meet the more temperate waters of the mid-latitudes. This convergence zone acts not only as a geographical delineation between the Southern Ocean and the southern regions of the Atlantic, Pacific and Indian Oceans, but also as a biological barrier of sorts. All biota living south of the Antarctic Convergence are considered to be a part of one greater Antarctic marine ecosystem, while all biota living north of it are considered to be outside of this ecosystem. Humans began to discover the rich biodiversity that lies beneath the surface of the Southern Ocean during the Golden Age of Antarctic Exploration in the late 19th century. Following the Rio Convention of 1992 there has been a renewal of interest in biodiversity studies, and the systematic exploration of the deep sea regions in the Antarctic, with research projects such as the ANDEEP campaigns from 2002 and 2005 and its follow-up, ANDEEP-SYSTCO from 2007-2008. Research into understanding the biodiversity of the Southern Ocean goes hand in hand with trying to understand how the delicate Antarctic marine ecosystem functions, and how we humans can have an impact on biodiversity in this remote part of the world. Human activity such as fishing has the potential to have far-reaching effects not only on the species that are fished, but also on other species dependant on those that are fished as a source of food, and so on up the food chain. For several decades now about 20 countries have been extensively harvesting the living marine resources in the Southern Ocean. The two most sought-after creatures are the toothfish, which is heavily in demand in North America, Europe and Japan, and krill, which is used extensively in aquaculture in the northern hemisphere. By the late 70s, however, the overfishing of krill began to raise concerns about the impact humans were having on the biomass of krill. A reduction in krill biomass would have impacts up the food chain on species dependent on krill such as sea birds, fish and seals. These concerns led to the creation of the Commission for the Conservation for Marine Living Resources (CCAMLR) in 1980. Headed by a commission and advised by a scientific committee, CCAMLR came into force in 1982 as part of the Antarctic Treaty System, pursuant to the provisions of Article IX of the Antarctic Treaty. As defined by Article II of the convention, CCAMLR has an environmental mandate to act in the region and to conserve marine biodiversity through the promotion of the rational exploitation of living marine resources. The Convention takes both a precautionary approach and an ecosystem approach to conservation. Taking a precautionary approach means not postponing action at the first sign of trouble in order to wait for more data, while taking an ecosystem approach means taking into account all of the delicate and complex relationships between organisms. Almost entirely international waters, the area covered under the Convention is quite vast. It stretches from the coasts of the Antarctic continent to as far north as 45°S latitude in some areas (see map), following more or less the boundary of the Southern Ocean created by the Antarctic Polar Front. CCAMLR regulates the commercial harvesting of Antarctic marine living resources through the CCAMLR Ecosystem Monitoring Program (CEMP), which was set up in 1985. 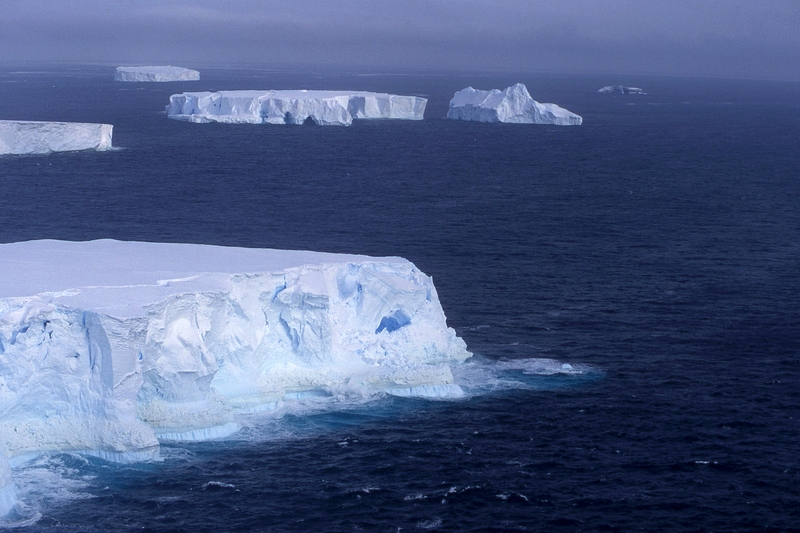 The purpose of the CEMP is to detect and record any changes in the critical components of the Antarctic marine ecosystem, using these as a basis for conservation measures, and to determine whether changes in commercially harvested species are a result of over-fishing or if they are naturally occurring. However despite CCAMLR's attempts to regulate fishing practices, illegal, unregulated and unreported (IUU) fishing practices are a chronic problem in the Southern Ocean. A reduction in the biomass of certain species can lead to invasive species taking over an ecosystem. Add to this the stress that climate change is exerting on the delicate Antarctic marine ecosystem, and you have reason to be concerned. The creation of a representative network of marine protected areas (MPAs) throughout the entirety of the Southern Ocean, even in the most remote areas away from land, has been proposed as a way to help preserve the Antarctic marine environment (The environmental protocol to the Antarctic Treaty allows for the creation of protected areas within the Southern Ocean). The planned network would include representative areas from each of the mini-ecosystems that exist within the Southern Ocean. Creating such a network of protected areas would be a pioneering achievement. To date only six complete marine protected areas have been created within the Southern Ocean, while nine other areas are part of continental protected areas. There have been very few MPAs established throughout the world in international waters. It is important to understand that a marine protected area isn't a "no fishing" zone. MPAs are meant to be dynamic, reflecting the dynamic nature of the Antarctic marine mini-ecosystems. There may be quotas during certain periods of time, or there may be seasonal restrictions. The protection area could even change size and evolve over time. The process of establishing a network of marine protected areas has been underway for many years. In 2004, CCAMLR began urging its Scientific Committee to place priority on research that would eventually make it possible to obtain a better understanding of the various mini-ecosystems that exist throughout the Southern Ocean. Once enough data from this research is compiled, it will be possible to delineate the zones within which these various ecosystems exist, a process known as bioregionalisation. The bioregionalisation process will contribute to the selection of a representative network of marine protected areas (MPAs), as well as facilitate the monitoring of the Antarctic marine environment. The recent workshops on bioregionalisation that were held in Hobart, Australia in September 2006 and the CCAMLR workshop in Brussels, Belgium in August 2007 have played a major role in providing a solid scientific basis upon which an MPA network would be set up. The bioregionalisaiton agenda will for the second year in a row be one of the main topics of discussion at the 26th annual CCAMLR meeting in Hobart, which takes place from October 22nd until November 2nd, 2007. Belgium has played a key role in facilitating the process involved in the creation of marine protected areas in the Antarctic, in particular by hosting the recent CCAMLR bioregionalisation workshop and by facilitating access to critical biodiversity datasets through SCAR-MarBIN, the network of databases on Antarctic marine species. More information on the role of Belgium in this process of creating MPAs and the significance of the CCAMLR bioregionalisation workshop that Belgium hosted in its capital city of Brussels is available in another SciencePoles arcticle. The bioregionalisation process will contribute to the selection of a representative network of marine protected areas.